AFTER THE TRACK CLOSED, MANY OF THE FCS GANG TRAVELED TO RACE AT OTHER PLACES. 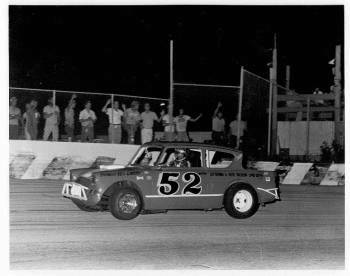 THE NOTION OF "A" CLASS MODIFIEDS AND "B" CLASS STOCKERS WAS A FLORIDA CITY THING, SO ANYWHERE ELSE, ALL THE CARS RAN TOGETHER IN ONE CLASS. Richard Sekman's beautiful Renault gets a nose job from west coast visitor John Josey. I remember sitting in the stands and watching this unfold. It made me cringe! 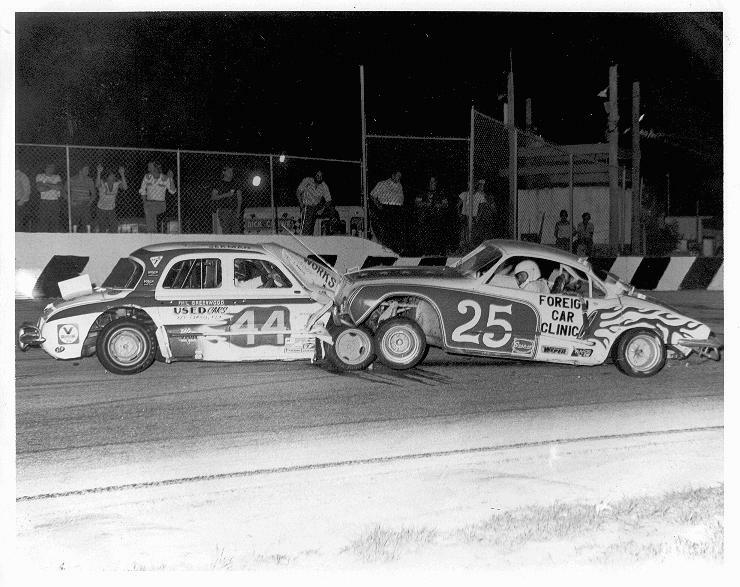 Ok, so neither one were FCS racers, but it is a cool picture. Ed Bowling showed up with this beautiful orange, black and yellow anglia. 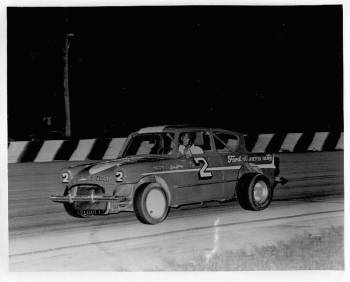 Gary Greenwood carried the stick tonight on Hialeah's 1/3 mile pavement. The Ross brothers hustle their Anglias into turn one. 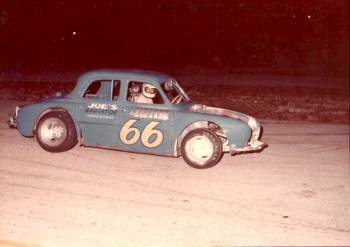 Gary drove the #87, and Ralph Jr. ran the #2. 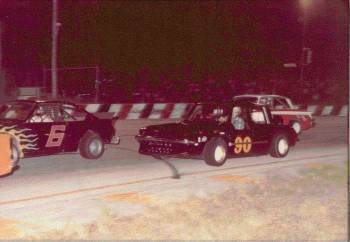 Both brothers would move on to race late models a few years after this picture was taken. John Guzzetta brought an updated Renault up from his home in the keys. 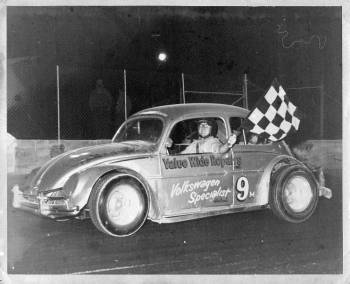 Phil Greenwood in the #90 looks for racing room under the #6 of Mark Teeters. Mark was a frequent visitor from the west coast. 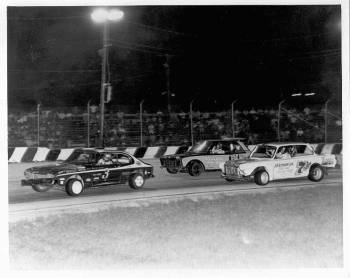 Key Largo lead foot Ron Wynn slides his #3 Capri in front of Harold Dover (I think) in the 7 Jr., and Harold Cannon on the outside in the 5 Jr. 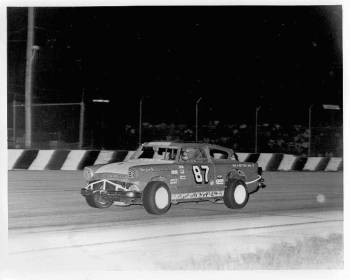 Both of these cars were regulars at the Sunshine Speedway in St. Petersburg. 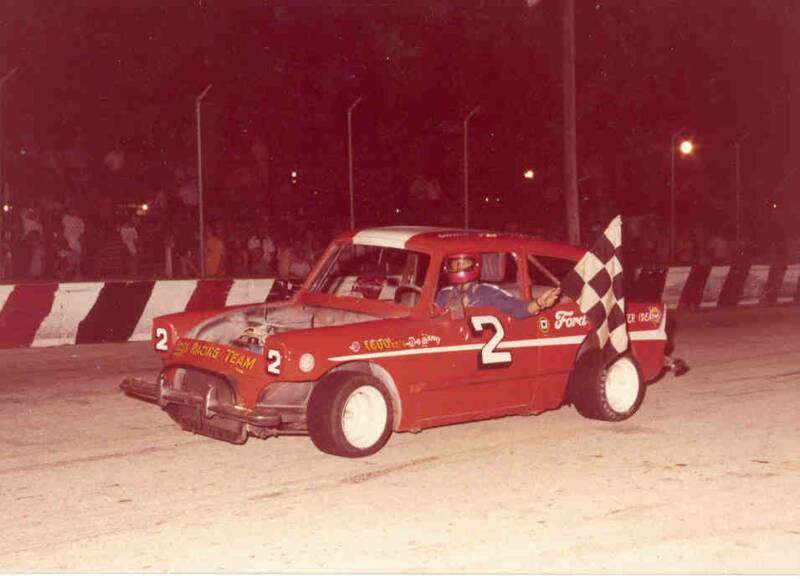 Like then Ross brothers, Ron would soon become a Late Model regular at Hialeah and Palm Beach Speedways. Gary Ross filled in for his brother tonight. 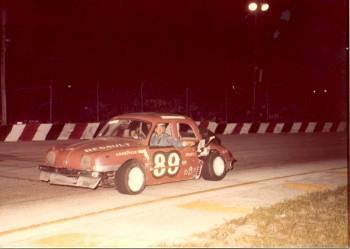 George Sweeting terrorized Hialeah with this Beetle in the late 1960's.